For giving of a working surface of the metalwork and metal-cutting tool of a certain geometrical form sharpening is used. Sharpening of the tool is carried out both for again made tool, and during his operation in process of a blunting. Quality of sharpening of the tool influences processing productivity cutting. Poor ground tool finally loses the required geometry of the cutting surface and fails. Our enterprise offers the machine grinding and grinding VZ-879-01 which allows is high-quality and to quickly make sharpening of the metalwork and metal-cutting tool. 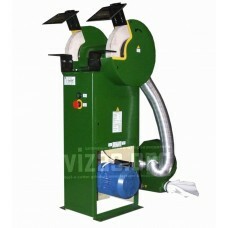 This equipment is also used for peeling-off and cleaning of fine details. 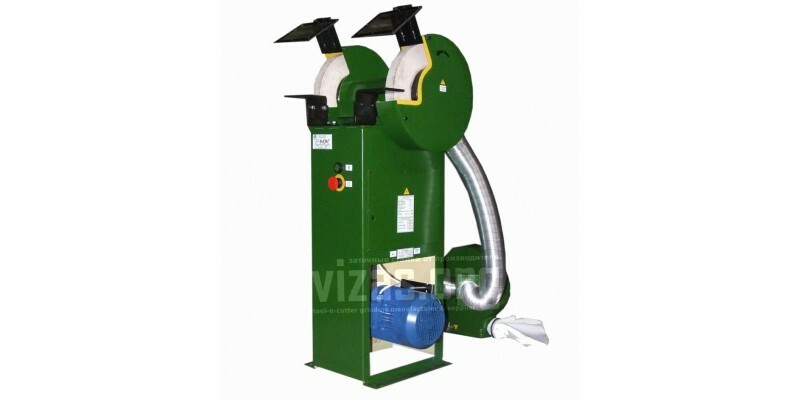 The machine of the VZ-879-01 model is executed on the basis of the VZ-879 model and in addition completed with the vacuum cleaner. The squared welded bed on which top plane the tool-grinding head with casings of grinding wheels is established is the cornerstone of the machine. In a niche of a bed there is electric equipment. On a submotor plate there is an electric motor which transfers by a maple belt rotation to a spindle of the grinding grandma. By means of the screw and nuts the belt tension by turn of a submotor plate is provided. In this case on rolling bearings the spindle on both sides of which there is a cone for fastening of flanges with abrasive circles is mounted.The machine of the VZ-879-01 model, mechanizing sharpening of metal-cutting and metalwork tools, guarantees high efficiency and quality of sharpening.